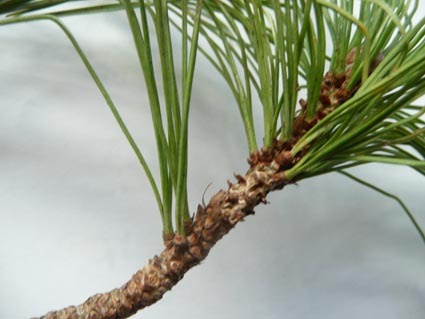 The Macedonian pine is one of the soft pine group. It comes from the SW Balkan mountains and was introduced into cultivation in1864. 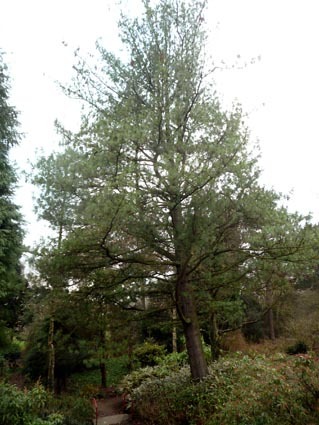 The needles are in bunches of 5 and are very thin, but not as drooping as those of the Bhutan pine (Pinus wallichiana) which is also present in Belfast Botanic Gardens. 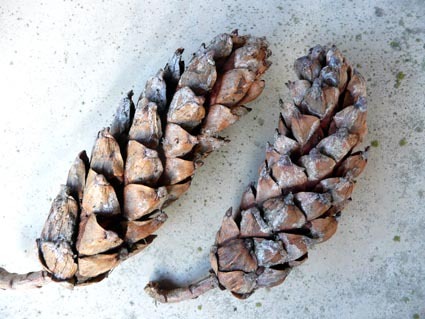 The cones are lax, elongated and each scale has a distinctive knob at the apex. 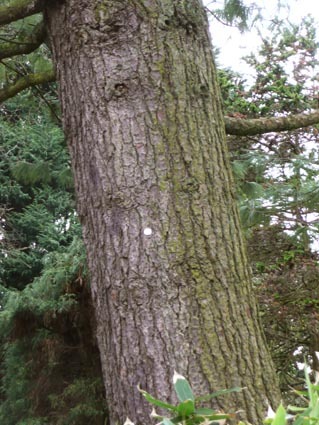 All the scales are incurved (unlike the Weymouth pine where some of the scales curve outwards). The Belfast Botanic Gardens specimen is beside the sunken path in the rock garden area. Photos taken in Belfast Botanic Gardens in 2012. Copyright: Friends of Belfast Botanic Gardens.